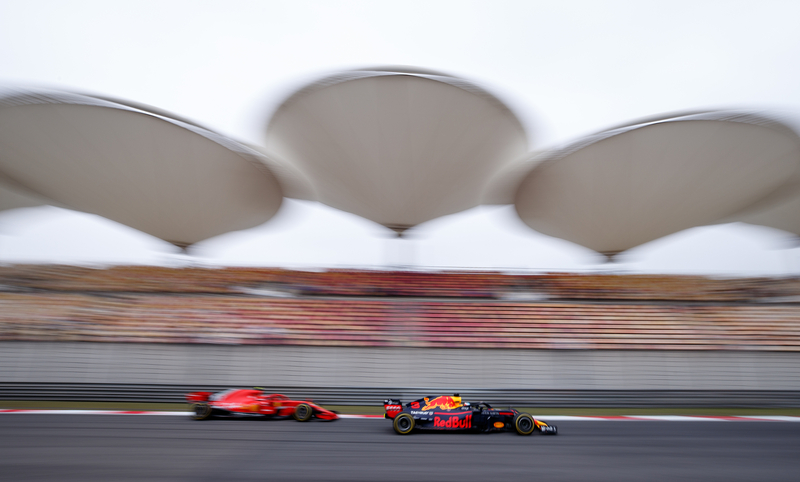 The Mercedes star quickly got up to speed as Formula 1 action got underway in Shanghai, but Kimi Räikkönen ran him close at the end of day one. Lewis Hamilton looked in complete control during first practice in China, but saw his rivals creep up on him in the second Friday session later on. After out-pacing Ferrari's Kimi Räikkönen by a little over three-tenths in FP1, the Finn reduced the gap to a mere 0.007 seconds in the typically more representative FP2. Even in First Practice, Hamilton hadn't been completely impervious, however. The four-time Formula 1 world champion spun out of turn 11 in practice one, flat-spotted a set of tires and had another brief off in practice two. 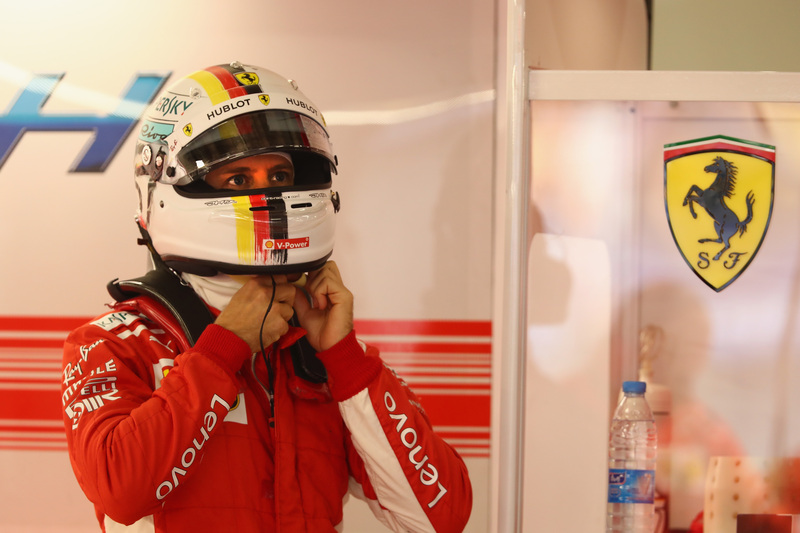 Even his fastest FP2 lap-time, a 1:33.482, was set as he visibly struggled for grip. A Ferrari and a Red Bull.Getty Images. Hamilton wasn't the only driver to do so, as low temperatures and gusts of wind made circumstances tough. Max Verstappen, Romain Grosjean, and Lance Stroll were among those to have some off-track excursions, and that was before the rain hit second practice in the closing minutes. Before that, the outlines were drawn for what looks to be another close-fought Formula 1 battle, with Hamilton's team-mate Valtteri Bottas and championship leader Sebastian Vettel within 0.108 off of Hamilton in third and fourth. Red Bull Racing driver Verstappen finished fifth, about three-tenths down on Hamilton, indicating his team may again struggling in qualifying. Mercedes and Ferrari famously have more potent qualifying engine modes after all, although Red Bull Racing is convinced it has a competitive car for race day. It looks like strategy will factor in as well. The ultra-soft (the quickest but least durable compound nominated by supplier Pirelli for this weekend) is seeing significant wear and Mercedes in particular is known for being tough on its tires. Speaking of tires: McLaren's Stoffel Vandoorne stopped trackside with a loose wheel at the end of FP2, for which the team was fined approximately $6,000. It is the last in a series of unsafe releases from pit lane, which Formula 1's governing body FIA looking into. Vandoorne's team-mate Fernando Alonso was the quickest of the McLaren drivers, meanwhile, in 10th. The American Haas F1 team cracked the top 10 in both sessions with Kevin Magnussen, whereas team-mate Grosjean was ninth in FP1 but ended FP2 down in P19, ahead only of Canada's Stroll of Williams. Haas once again looks competitive, but the midfield is still closely packed, with less than a second covering Renaults Nico Hulkenberg in seventh and Williams' Sergey Sirotkin in P16.